Oren, the founder and CEO of Testim.io, has over 20 years of experience in the software industry, building products for developers at IBM, Wix, Cadence, and Testim.io. 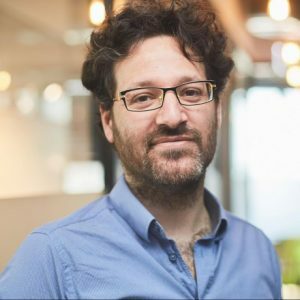 In addition to being a busy entrepreneur, Oren is a community activist and the co-organizer of the Selenium-Israel meetup and the Israeli Google Developer Group meetup. He has taught at Technion University and mentored at the Google Launchpad Accelerator.assurance. In the digital era, where every bug hurts your business, organizations are forced to trade off between faster time to market and flawless user experience. Can AI resolve this conflict? AI is affecting almost every domain, including quality assurance, which is currently one of the biggest the bottlenecks in achieving CI/CD. In this talk, we will discuss the reasons for this tension and drill down into some specific challenges around creating stable, scalable test automation. We will show how applying artificial intelligence is helping engineering organizations achieve quality-velocity balance today and how autonomous testing will change the way software will be developed in the future.